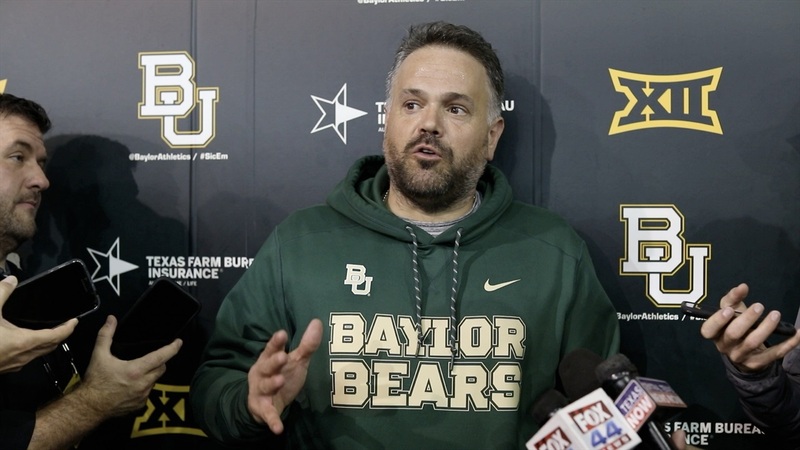 Coach Matt Rhule discusses where the team is at to conclude spring practice following Saturday’s Spring Game. There was a game? I thought it was cancelled. Looks like some new hair plugs. His sweatshirt has gold lettering instead of cheddar yellow.